I recently completed an old Comet Models balsa kit called the Phantom Fury (see attached photo of completed model). If you look closely at the photo, you will notice that the landing gear is different from what is shown on the original plans, which were very weak. Also, the tail has thread bracing added to prevent the horizontal stabilizer from warping. The Phantom Fury was designed by Robert Reder while he was working as a designer at Comet Models in 1939. 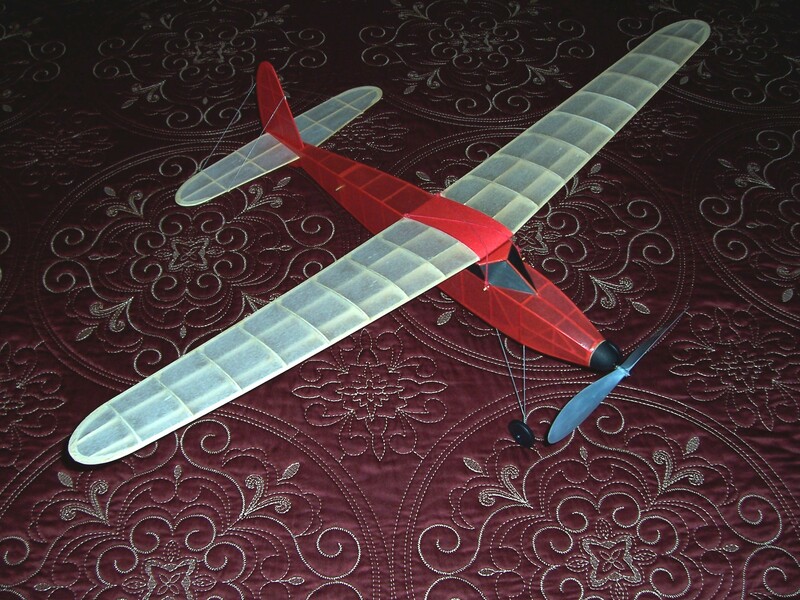 Comet originally sold the Phantom Fury kit for 25 cents, which was quite reasonable considering it has a 32” wingspan. Robert Reder and another Comet Models employee started Monogram Models right after the end of WWII. Monogram started out making wood ship model kits and balsa (both flying and static display) model airplane kits, then switched to manufacturing mostly injection molded plastic models by the mid 1950s.